When travelling, I like to buy clothes and accessories as souvenirs, then when I wear them or use them it's like I bring a bit of the place where I bought them with me. Well, the dress you see in this outfit was bought during my unforgettable honeymoon in New York, in a Soho shop, it's called "Think closet". New York truly is the City of my dreams and I am planning another trip there next year. I will sure spend more time in the Greenwich Village and in Soho, two neighborhoods I have liked very much so far !. Until now, I can only think back at my holiday in one of the most amazing places on earth and especially today that is 9/11, I could say many things about the emotions I felt when visited the memorial but this is a fashion blog and I wouldn't wanna mix something so serious with something frivolous about a tragedy the world will never forget. Quando viaggio, mi piace comprare abiti e accessori come dei souvenirs, così quando li indosso o utilizzo è come portare un po' del posto che ho visitato con me. L'abito che vedete in queste foto è stato comprato nel corso della mia indimenticabile luna di miele a New York, in un negozio di Soho, si chiama "Think closet". 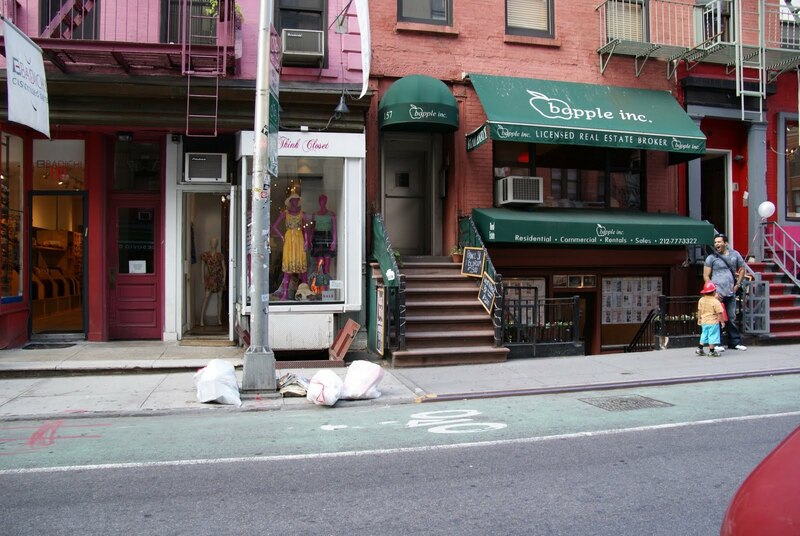 New York è veramente la città dei miei sogni e sto pensando di tornarci in viaggio l'anno prossimo e sicuramente vedrò di trascorrere più tempo al Greenwich Village e a Soho, due quartieri che mi sono piaciuti particolarmente !. Fino ad allora, posso solo ricordare la mia vacanza in uno dei posti più incredibili della terra e in particolare oggi, che è l'11/9, potrei dire tante cose in merito alle sensazioni che ho provato quando ho visitato il memorial ma questo è un blog di moda ed è difficile per me parlare di qualcosa di così serio in un contesto frivolo, a proposito di una tragedia che il mondo non dimenticherà mai. Somebody asked me to explain how I did to move my followers to the new blog address (in my case, a domain) so that they didn't have to join on Bloglovin again if they were already following my blog. Well, if you go to your Bloglovin account, go under "Support", there are some Frequently Asked Question, one is "I have changed my blog address, can I move my followers? ", the answer is that you have to go to your old blog and write a new post saying that you are moving and include a link to your new blog. When you have published the post on your old blog, use the form you find on the Bloglovin page and they will do the rest. Mind you, you have to add the other Blog on the same account, once they move followers they'll delete the old blog from your Bloglovin account automatically. I have to say the support at Bloglovin is excellent and fast ! Hope I was helpful. Now, also on Bloglovin !. Alcuni mi hanno chiesto come spostare i followers da Bloglovin in caso di cambio di indirizzo del proprio blog (nel mio caso, si tratta di un dominio), in modo che i vecchi followers non debbano iscriversi di nuovo. Beh, dovete andare nel vostro account di Bloglovin su "Support" e una delle domande è proprio "ho cambiato indirizzo, posso spostare i miei followers ?". La risposta è affermativa, si tratta di scrivere un post (sul blog dal nuovo indirizzo) dove si annuncia il cambiamento e di includervi il nuovo link a Bloglovin oltre a segnalare il nuovo indirizzo. Una volta pubblicato il post, si utilizza il form che si trova sotto la risposta alla domanda sul support di Bloglovin e loro faranno il resto. Ovviamente, dovrete prima iscrivere il nuovo blog nel medesimo account, in modo da avere iscritti entrambi i blog. 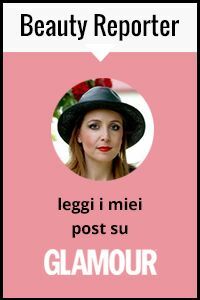 Una volta spostati i followers da un blog ad un altro, il vecchio blog sarà cancellato direttamente dal vostro account e diventerà il vostro unico blog per Bloglovin. Devo dire che Bloglovin ha un supporto veramente eccellente e veloce !. Spero di essere stata utile. Ora, seguite -> anche su Bloglovin !. What an amazing dress! I absolutely adore the colours. I really like what you are saying about taking a bit of a place home by purchasing little things and I do really think it is a beautiful idea. Although I've never been to NYC, I'm sure the city must be amazing. What were your favourite places? luna di miele a Ny..che bello! e il vestito ti stava benissimo! totally in love with new york, since I went there in sumemr :) love your outfitm, this dress is amazing ! love your shoes and the last picture, great idea for memories. Mi piace molto il vestito, stai benissimo! Very nice dress, you looks so beautiful. Kisses from Spain. My dream... One day I go too!!! Awsome outfit!! The last picture is so cool!! I love it!! NY is also one of my favourites cities! I´ve been there twice, and I will go much more! And I agree, The Village and Soho, are my favourite places too! So different, lot of personality! i´d love to go back to ny, but to live there! ps. thanks for following us! Lovely ! Beautiful dress and pictures. I am following you now on bloglovin too. A mi tambien me encanta tu bolso LV, todo un clasico, tambien te sigo. Besos. nice pics and dress :) love the last photo ! Wow! your photos are always awesome! I would like travelling to New York someday... I hope soon. ..you look so beautiful , I absolutely adore your floral maxi dress ..
Last picture is heartbreaking ..
CIAO! Mancavo da un pò sulla tua pagina,procede bene..In ogni caso,molto carino questo ultimo look..fresco ed elegante! So beautiful and elegant!! loved!! beautiful floral dress, lovely photos! such a nice places !! So lovely dress! The Soho is one of the most amazing places of NY!! in love with ur dress!!!!! Precioso vestido. Estás guapísima. Gracias por pasar por mi blog. Te sigo. Besos. María José. Very pretty pics and lovely outfit! That floral dress is absolutely beautiful! anche io sono appena stata a NY, l'ho amata moltissimo e mai come oggi che è l'11 settembre la porto nel cuore. achei seu blog muito fofo estou te seguindo !!! tu vestido es precioso, y el estampado una maravilla!! what a cute post and your dress is lovely. Your dress is beautiful. Thankyou for visiting myblog. Now following. FOLLOWING YOUR BLOG NOW AS YOU SUGGESTED, FOLLOW ME BACK?? Tks for your lovely comments!!! I'd love to have you also among my followers. I'm following you via google now! =D I'd love it if you could check out my blog and maybe follow as well? That summer dress just looks absolutely gorgeous on you. Makes me want to go outside and and sing! Thanks for your comment. Well I am not going to wish you Happy Birthday NOW - because that's supposed to bring bad luck. Love the dress.. you pull it off amazingly..
Beautiful spring style. You can't go wrong with a pastel floral print. gorgeous! i ladore that dress. Really nice outfit! Love the shoes! I do the same when I travel. I always buy clothes/bags/shoes as souvenirs for the same reason. Thank you for explaining how you transferred your followers to your new domain. You were really helpful. I'll may need it sometime. 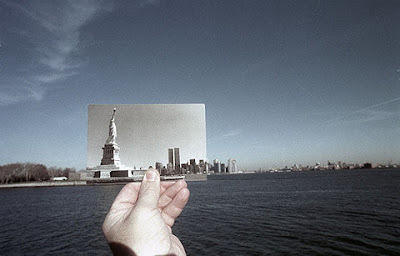 I love the way you addressed 9/11 in this post! The last photo is just so moving... thank you for this! Love this post. Thanks for the love on my page. Beautiful pictures and love dress. You look gorgeous! I love that pretty, floaty floral dress! I love your look!!! it is very cute!!! beautiful dress, it looks very comfortable but still classy - love it!! anke a me piace comprare durante i viaggi! il vestito ti sta benissimo! I love love this post. Not only did I live in NYC but I miss it so. In addition, I love your dress, looks fantastic on you. The colors and the style is so pretty. Cute outfit, you really work that pattern well. You are a vision of beauty in that floral dress...absolutely gorgeous. This is such a special post too and the last photo of New York is so touching. Oh my!!! I love your dress!!! you do look amazing sweety! great photos such a pretty dress looks lovely on you! Che bello questo vestito! Ti sta divinamente! Spero di aver capito tutte le istruzioni, nelweekend provo a comprarmi il dominio! I love your drees. Your blog is great! I follow you! Wonderful blog! I'm following you now, dear! esse vestido é maravilhoso! vamos seguir sim amei o blog , já estou seguindo me segue lá ok? Lovely pictures, Off to read some of your past posts.. I like your floral dress and your smile. You look so fresh & chic. Your dress is wonderful. Your look is perfect! Thank you to visit my blog. I loved your blog and I'm following you. You'll make me happy if follow me too. You look gorgeous, that dress is just beautiful! Of course we can follow each other, I'm following! looking gorgeous and amazing !!! I love that dress ! I already follow you. See you soon in my blog. You look fantastic darling! I love your maxi floral dress..I'm following you, return love back?? Thank you for the lovely comment you leave on my blog! Last year I learned the italian language at school, this year I go to an other school, unfortunately. thank you for visiting my blog and nice comment ;) i follow ;) Have a nice day! lovely post! i have new look in my blog! the last one ist so great! Hi loved your blog, it's beautiful *-* I thank you for following visits. thanks so much for visiting lemoncake wardrobe! :) of course, i d love to follow each other, i already followed "fashion and cookies"! ps ny is my dream trip. i almost made it last spring... awwggg... next time! Amazing honeymoon! The dress is perfect,you look so nice! Well you know!! !I am totally amazed by this dress..It is so cute.. I really love romantic dresses and florals! I love the dress so much. I wish the photos were bigger. I do the same thing when I travel! I have a wonderful bag from SOHO, I bought a dress in Italy, a scarf in Barcelona, pants from Greece and so on. Thanks for the comment...your blog is great! this flower dress is absolutely stunning! I CAN ALSO SHOW YOU SOME GREAT PLACES TO EAT.. I LOVE THAT FLORAL DRESS.. YOU LOOK GOOD IN FLORALS WHICH A LOT HAVE TROUBLE WITH.. IT'S OK TO TALK ABOUT FASHION AND 9/11.. FASHION CAN BRING A SMILE TO ANY ONES FACE..